Being a man who was known for his modest smiles and aversion from self-pretentiousness, Kwang Chih Chang brought Eastern and Western civilizations together towards a doorway to study the archaeology of the China. Chang’s scholarship opened up isolation in China in the studying of the nation’s ancient past to complete international collaboration in which several students and scholars around the world could approach the Chinese past. Kwang Chih Chang was able to enhance our understanding of Asian history by simply integrating historiography with methods of American anthropology and archaeology, and by using data from China to challenge several enduring Western ideas regarding the rise of agriculture, urbanism, and kingship within the Eastern Asian region. Chang was a student of many archaeological giants, and in turn he trained generations of students in the field of archaeology who now carry like him an interest in research and a love for teaching. Kwang Chih Chang, just like his predecessors, is a now an icon in the field of archaeology. KC Chang, (as he was known among his friends), was born on April 15, 1931, in a city known as Beiping, China, which happens to be present day Beijing. KC’s father Zhang Wojun was also an accomplished individual as he was a prolific writer as well as poet from Taiwan. Wojun was significant for promoting the use of vernacular Chinese in literature rather than Classical Chinese due to its accessibility. In the year 1923, he traveled to Shanghai to learn and eventually pursue his interest in starting a literary reform in Taiwan. The following year Wojun moved to Beiping to study at the National Beiping Normal University where he studied and wrote poetry. 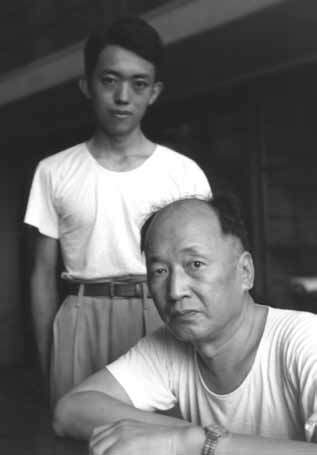 During his enrollment, he met and eloped with a student Lo Xinxiang from the same school and they married in 1925. In 1926, both of them returned to Beiping where Xinxiang finished off her degree and Wojun taught Japanese. The couple had four sons including KC. With this, Kwang-Chih spent this portion of his childhood in the Beiping area. He attended the most academically rigorous schools in Beiping, the Second Affiliated Primary School from 1937 to 1943, and the Affiliated Middle School for Boys from 1943 to 1946. From there, KC’s family moved back to Taiwan due to turmoil in China regarding Nationalists and Communists, the Chinese Civil War. The Chinese and Taiwanese regions in the late 1940s were a time in which Chinese nationalists known as Kuomintang (KMT) faced an increasingly powerful and popular communist opposition. Anticommunist campaigns became increasingly brutal both in China and Taiwan. When KC Chang was a high school student, he was unfortunately labeled a ‘communist sympathizer’ due to the fact that when he had been a middle school student, he had written several seemingly leftist essays. Consequently, Chang was arrested and had spent much of the 1949-1950 years in a prison. This experience that left him shaken, as described by his students, was one of the experiences he could describe in detail. It was perhaps his greatest achievement aside from his later accomplishments as an anthropologist. Kwang Chih Chang was introduced to the anthropology field when he enrolled in the first class of the newly established Department of Archaeology and Anthropology at the National Taiwan University in 1950. KC’s interest in archaeology sprouted from a book that caught his attention as a child, a time where he would sleep in his father’s study room. The book ‘A General Introduction to Anthropology’ was one that was translated by KC’s father from Japanese into Chinese. When asked why he had selected archaeology as a major, (an unusual choice at NTU), Chang would reply with “Because it is fun”. Kwang Chih Chang also suggests that his experience as a kid in prison, which thus allowed him to assess ‘good and evil’, evoked a strong interest in big questions regarding anthropological issues. Chang studied at NTU from 1950-1954 taking classes on excavations, ethnography, archaeology, and also courses in paleography. He won several awards for academic excellence and also published around fifteen scholarly articles. Following his graduation, KC spent a year in Taiwan for a mandatory military service and left for Cambridge, Massachusetts in 1955 to join Harvard with just $50 and a suitcase filled with books. While pursuing his graduate studies in Middle American anthropology, Chang supplemented his funded income with several part time jobs such as a night watchman and dishwasher to support his family back home. His father had unfortunately passed away from lung cancer during this time while KC was pursuing his PhD at Harvard. Chang formed close relationships with the faculty there, with archaeologists such as Evon Vogt, Hallam Movius, and Gordon Willey. Chang was most influenced by Willey’s work on settlement archaeology in Viru Valley, Peru, and concepts in American anthropology such as “traditions” and “horizons”. He recognized he could apply these concepts to Chinese archeology and with this emerged his thesis entitled “Prehistoric Settlements in China: A Study in Archaeological Method and Theory”, which he had presented in 1960. Chang’s dissertation was a library thesis covering the Neolithic nuclear area of Northern China. KC’s time at Harvard exposed him to methods of theoretical American archaeology that provided him with a potential to apply these techniques to the study of Ancient China. After delivering his thesis, Chang was immediately hired as a lecturer by Harvard. He offered a new course in the department, “Archeology 111: Archaeology of Asia in Prehistoric and Early Historic Times”. His growing recognition in Asian archaeology was seen when he was invited to participate in the Wenner-Gren Foundation symposium held in Austria, a conference aimed to answer big questions in anthropology. After a year of being a faculty at Harvard, Chang was recommended and eventually appointed for a Yale faculty position as a curatorial staff at the Yale Peabody Museum. Around this same time, he married his anthropology classmate from NTU, Hwei Li, who had come to the US to work at Columbia University. 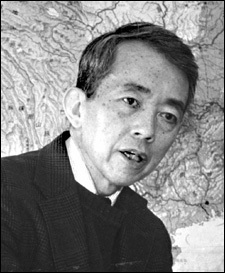 Chang stayed at Yale and moved up to the ranks of a full professor in anthropology by 1969. He served as a chair of Yale’s anthropology department from 1970-1973. In 1977, KC was notified with a possible offer to rejoin the place where he spent enjoyable years as a graduate student. He was attracted by the possibility of returning home to Cambridge and joining the faculty at Harvard. Many friends attempted to persuade Chang to stay in New Haven, while Kingman Brewster, the president at Yale, even offered him Yale’s most prestigious academic rank. Despite this, KC declined the offer and accepted the Harvard position in mid 1977. Just as he was at Yale, Kwang Chih Chang was appointed a professor of anthropology at Harvard while also being appointed as curator of East Asian archaeology at the Harvard Peabody Museum. Although his work was associated primarily with Chinese archaeology, Kwang Chih Chang began his career with early field projects on the archaeology of Taiwan. Chang returned to Taiwan during the years 1964 and 1965 to excavate at the Tapenkeng and Fengpitou ancient sites in order to study the development of horticulture in the area. Upon the work conducted at the prehistoric sites came the book, ‘Fengpitou, Tapenkeng, and the Prehistoric Taiwan’, which covered Taiwan’s relationship with China and Southeast Asia which thus brought Taiwanese archaeology to the attention of American archaeologists. In the 1970’s KC developed an even more ambitious project in Taiwan to study subsistence, settlement patterns, and human interactions within different ‘ecosystems’ in the area. As a result of this expedition came Chang’s, “Anthropological and Environmental Investigations in the Choshui and Tatu River Valleys of Central Taiwan (1974)”. The project in total consisted of a team of more than forty archaeologists, anthropologists, geologists, botanists, and zoologist from National Taiwan University and even the USDA. The rapid modernization of Taiwan during this time period unfortunately came with a threat to the historical heritage of the country. This issue then prompted KC Chang to conduct a Field Research Project on Taiwan History and Academia Sinica in the year 1986. The research was to focus on the full scope of Taiwanese history dated from the 1500s to 1945. Chang and his colleagues conducted the project with a systematic collection of historical archives, land studies, as well as island-wide archaeological surveys. The research endeavors concerning this project led to the establishment of a research center known as the Institute of Taiwan History in Academia Sinica. As previously mentioned, the 1980s were a time of rapid economical rise in Taiwan, which was then consequently met with the expansion of the East Line Railway within Taiwan. This led to the exposure of a vast Neolithic settlement in Taiwan as well as a discovery of Peinan Culture in southeastern Taiwan. NTU archaeologists had then found what was eventually found to be the largest archaeological site in the country prompting KC Chang to build a museum at the site with the goal of educating the public of the archaeology of Taiwan. The National Museum if Prehistory eventually opened in the city of Taitung in 2002, a year after KC had passed away. KC’s contributions to Taiwanese archaeology were well honored with him being appointed vice president of Academia Sinica from 1994 to 1996. KC’s ultimate goal in his academic career was to bring Asian archaeology to the attention of non-Asians. While he was pursuing his graduate studies, he expressed a willingness to translate several abstracts and Chinese archaeological reports for the Peabody museum. This work was somewhat the initial phase of what would turn into Chang’s most well known work, “The Archaeology of Ancient China”, which happened to be the first anthropological prehistoric work regarding China in the English language. This interest in Asian archaeology however was not shared by his fellow archeologists of the era. This was apparent in a presentation given by Chang at Arizona State Museum. KC gave a series of presentations in the archaeology of China, Siberia, Mongolia, Manchuria, Korea, Southeast Asia, Japan, and India while taking part in the “Advanced Course in Anthropology for Museum Professionals” in 1963. Follow up comments regarding his lectures revealed that participants felt his material was somewhat redundant to archaeology. Nevertheless, as a man who served as an archaeologist in academia, Chang was very well known as a teacher, lecturing and looking over courses and seminars in Archaeology, Ethnography, and Society with a focus on Asiatic culture. He also developed courses and textbooks to go along with them such as “Literature and Arts C-28: Politics, Mythology, and Art of Bronze Age China” which came about almost immediately after Harvard’s revised curriculum to focus on ‘modes of inquiry’ in the 1970s. Chang’s best work all in all, was focused on the Shang Dynasty in China. His exposure to this field primarily came from his own teachers who had happened to excavate the capital city of the Shang Dynasty, Yin. Chang was able to implement new methods through his studies of the Shang dynasty seeking explanation through exploration. His book, Shang Dynasty, the result of this work was a comprehensive work that featured archaeological mastery. From his days at Harvard, KC was heavily interested in studying bronze vessels from Shang China. With this being said, he was one of the first archaeologists to apply the use of computer analysis to seek out patterns, and design attributes of around five thousand bronze artifacts. Though this was a meaningful project it seemed to be an underappreciated contribution. Ultimately it was KC Chang’s dream to excavate regions in China though restrictions in foreign participation limited Chang’s opportunity to carry this out for several years. In 1982, Professor Enzheng of Sichuan University of China visited Harvard with possible proposals for archaeological collaborations with China. Chang proposed a study investigating radiocarbon dating, zooarchaeology, archaebotany, and geoarchaeology in China, all disciplines that did not exist abroad at the time. Funding was approved however the American collaborative initiative happened to be rejected by the powerful leader of the Chinese institute of Archaeology, a man who strongly opposed foreign participation in China archaeological studies. By 1991 however, KC was able to negotiate a major collaboration focusing on the Shang Dynasty in a joint project know as “Investigations into Early Shang Civilization between the Chinese Academy of Social Science and Harvard Peabody. With this project Chang was able to take part in geophysical surveys as well as excavations at Neolithic sites in the Henan Province of China. In 1994, days were spent in the rural fields of Henan in an American-Chinese interdisciplinary project. KC Chang made several contributions to archaeology and in essence he is a very well known figure in this field. His work is ever lasting, with the Archaeology of Ancient China, his comprehensive four hundred-page journal covering the entire scope of Chinese archaeology. But with this being said, it was not only his publication record which he is known for; Chang was an inspiration to many for his kindness, and gentle nature as a person in general and even as a teacher to many. He had many honors including being elected to the National Academy of Sciences and as stated Academia Sinica in Taipei. In addition he was elected to the American Academy of Arts and Sciences and he was a fellow of the Society of Antiquaries of London. Chang was also active in many professional societies including the Association of Asian Studies, American Anthropological Association, Ethnological Society of China, and the Society of Archeology and Anthropology of Taiwan. KC was appointed guest professor of several universities such as Shandong University, Peking University, and Xiamen University in China. 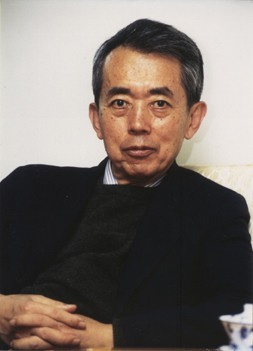 As for awards, he also won several including the Association for Asian Studies Award, and the Lucy Wharton Drexel Medal awarded by the University of Pennsylvania all for his extensive work in Chinese archaeology. Kwang Chih Chang passed away in 2001 from complications of Parkinson’s Disease. His legacy lives on as he single handedly transformed the field of Asian archaeology and what we now know of it. He served as a bridge between the East and the West as he revealed to us the significance of Asian archaeology. Chang trained thousands of students over the course of his academic career and many of them now big names themselves in the field. His will to collaborate a facet of his career. His intolerance to alcohol and his gentle manner a facet of his life. KC Chang is an icon to the subject of archaeology. Falkenhausen, L. von. 2001. Kwang-chih Chang, 15 April 1931-3 January 2001. Artibus Asiae 61(1):120-138. Selected Readings on Recent Chinese Archaeology. Cambridge, Mass. : Peabody Museum, Harvard University. Chang, Kwang-chih. The Archaeology of Ancient China. New Haven, CT: Yale UP, 1986. Print. Fengpitou, Tapenkeng, and the Prehistory of Taiwan. Yale University Publications in Anthropology, no. 73. New Haven: Yale University Press. Chang, Kwang-chih. Shang Civilization. New Haven: Yale UP, 1980. Print. Murowchick, Robert. Prof. K.C. Chang 張光直 (1931-2001). Digital image. Boston University, 1999. Web. 27 Apr. 2016. Fash, William. Kwang-Chih Chang. Digital image. Harvard.edu. Harvard University, 1 Mar. 2007. Web. 27 Apr. 2016.